Confidently know what’s going on at home with MyQ Technology. 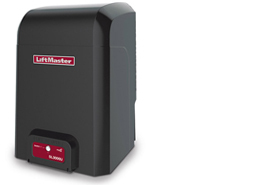 It lets you monitor and control your Gate Operator and lighting from anywhere (when paired with the LiftMaster Internet Gateway). ½ HP Rated for gates up to 50 feet in length and 1,000 lbs. Ensure that vehicles interrupt gate closure if a vehicle is in the gate’s path with our innovative plug-in loop detectors.